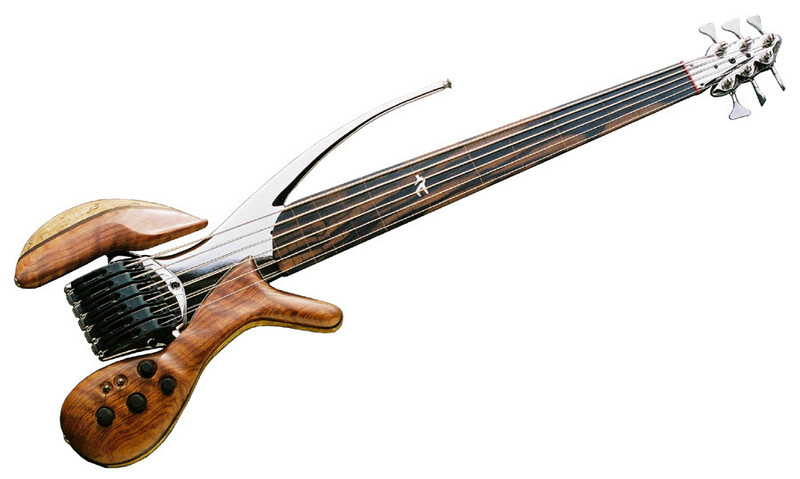 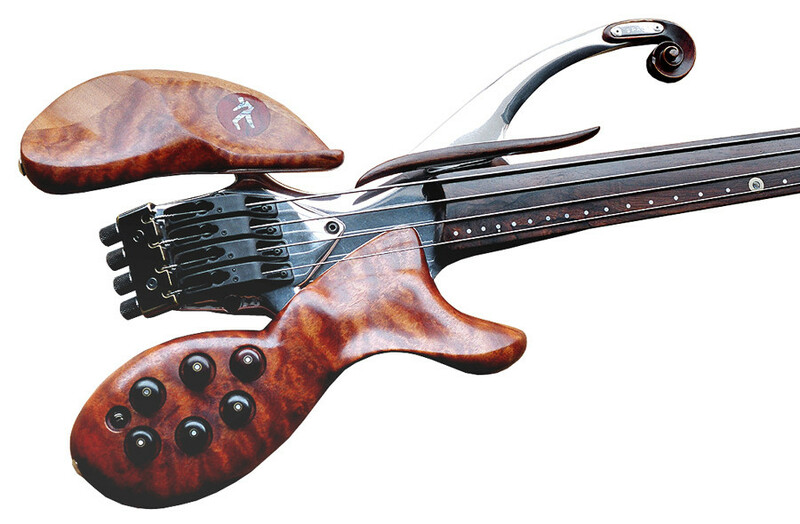 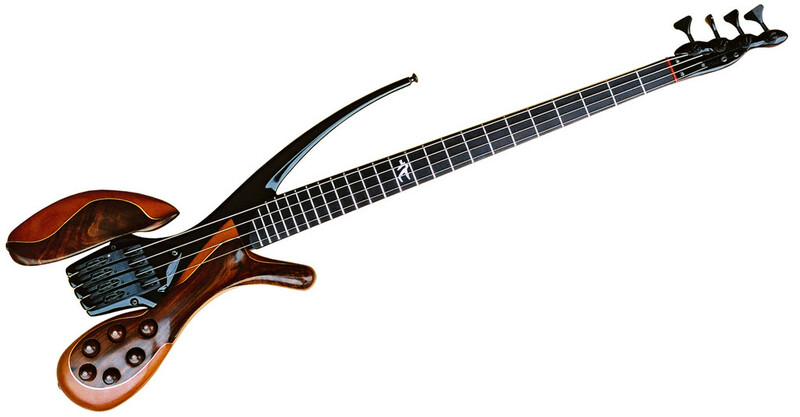 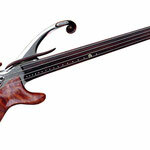 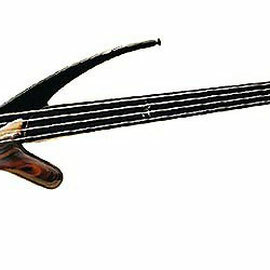 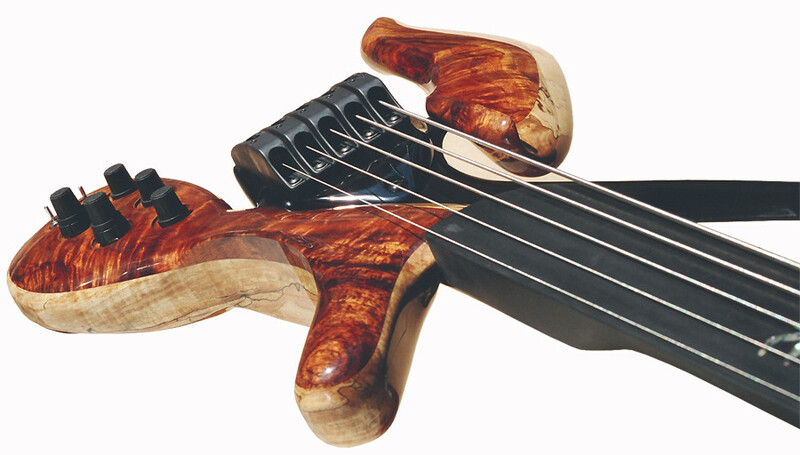 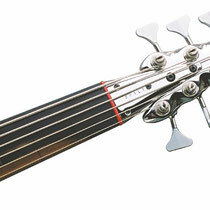 Magma basses employ the 'LightWave' optical pickup system. 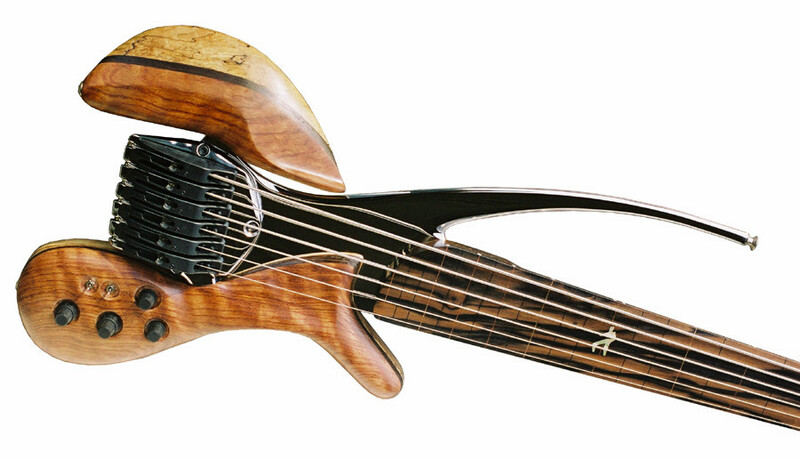 LightWave pickups exhibit an extraordinarily even frequency response throughout the whole tonal spectrum. 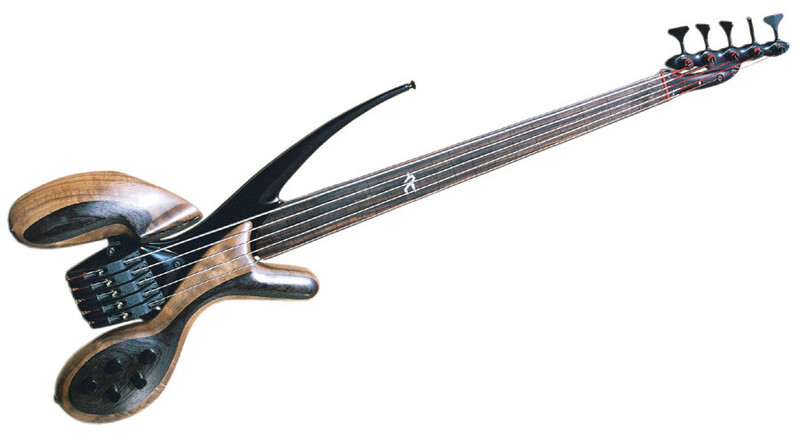 An infrared-emitting diode on one side of the string illuminates the string as it moves. 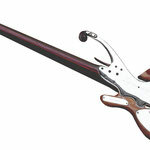 The shadow of the moving string passes over an optical sensor on the other side of the saddle. 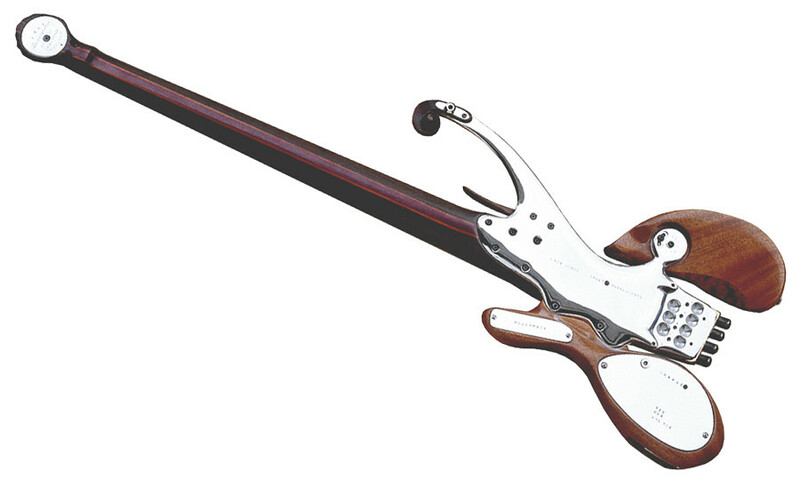 The signal generated by this sensor is converted into an audio signal and then routed through the preamp to your amp. 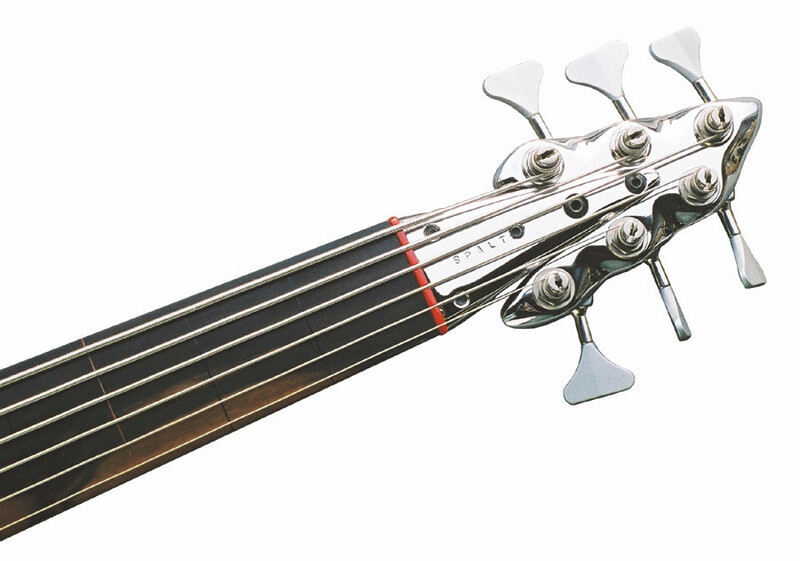 The non-magnetic nature of the pickup results in truer harmonics, lower distortion, greater overtones and enhanced sustain. 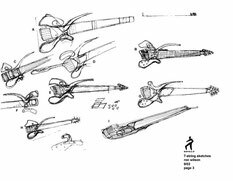 Lightwave pickups can sense down to 4HZ, so an amp capable of reproducing very low frequencies is recommended to make use of these capabilities. 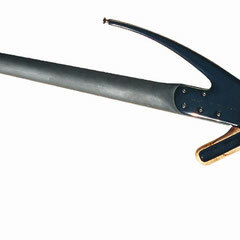 click here for more information on this technology. 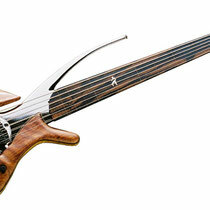 Magma 401 bass with LightWave pickup system, black anodized aluminum parts, Brazilian Rosewood/Mahogany body wings. 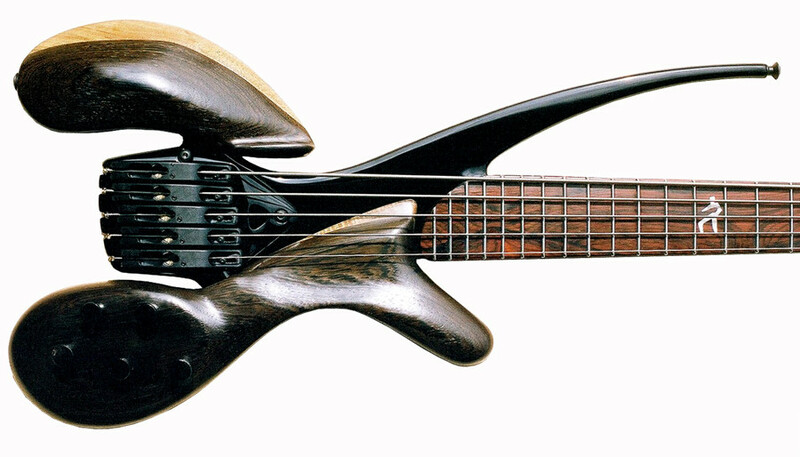 Ebony fingerboard, Wenge neck. 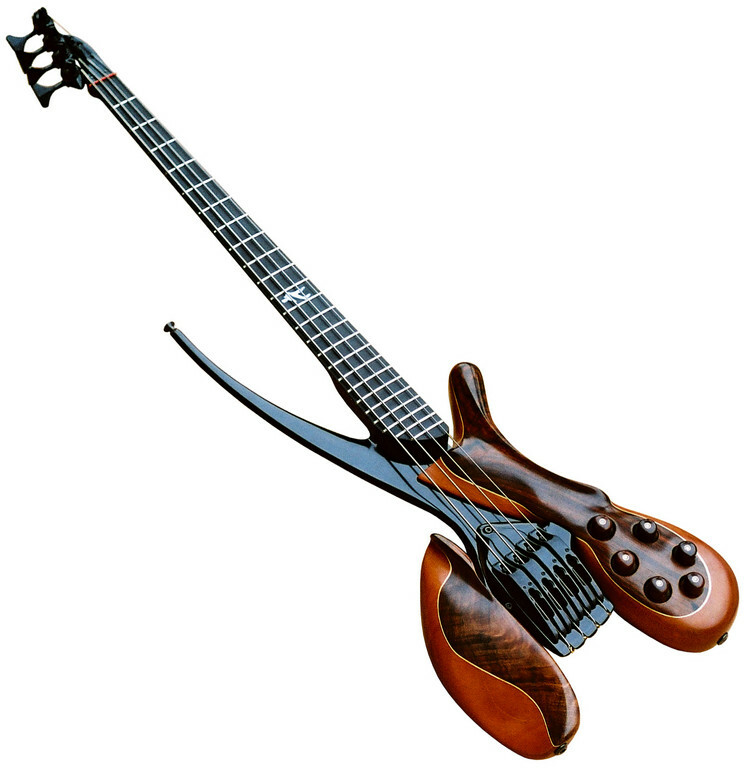 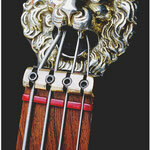 This headless bass was commissioned by composer and orchestrator Edgardo Simone. 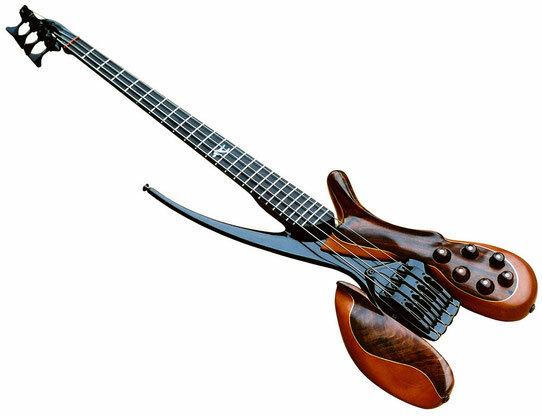 I fitted a ABM tuner unit behind the LightWave monoliths which in this case function solely as saddles and pickup units. 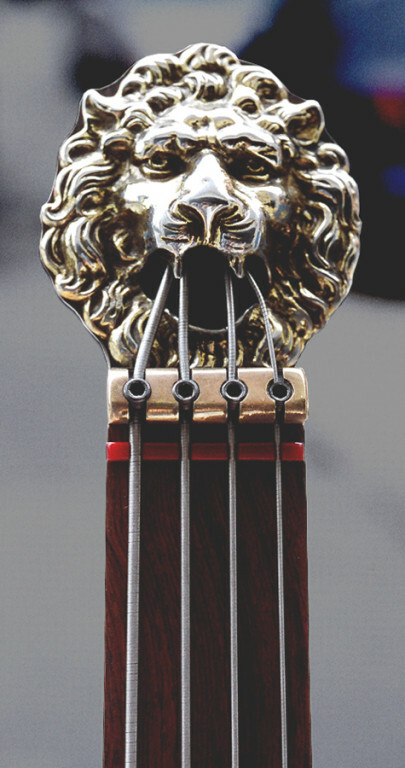 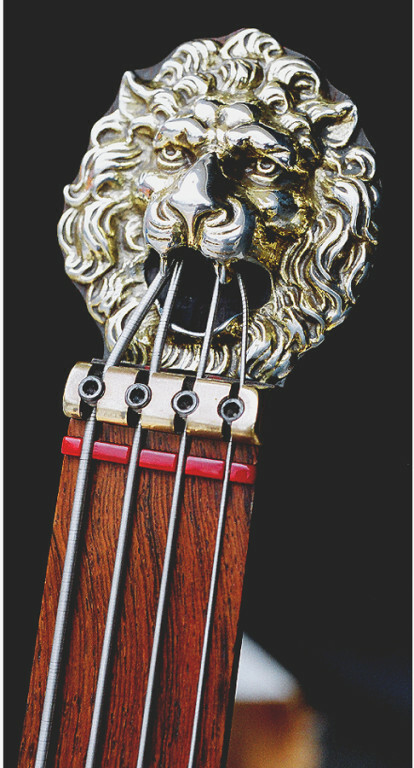 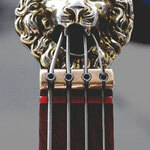 The upper horn ends in a violin scroll and the lion's head at the top of the neck is reminiscent of a roman fountain - the strings emanate like jets of water from its mouth - a proper solution to the issue of sharp string ends after they are locked and cut. 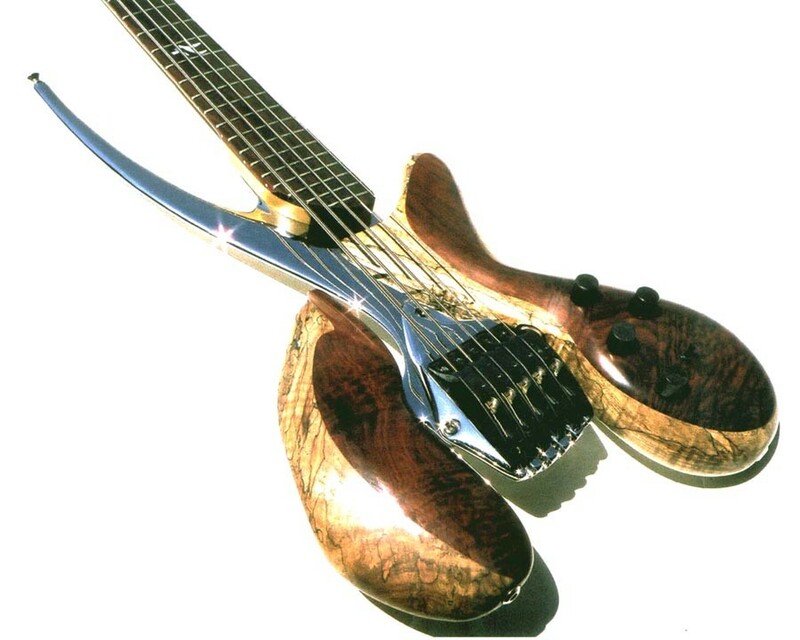 The body wings are quilted Mahogany over plain Mahogany, the neck Wenge with Purpleheart/Padouk strips and a Brazilian Rosewood fingerboard. 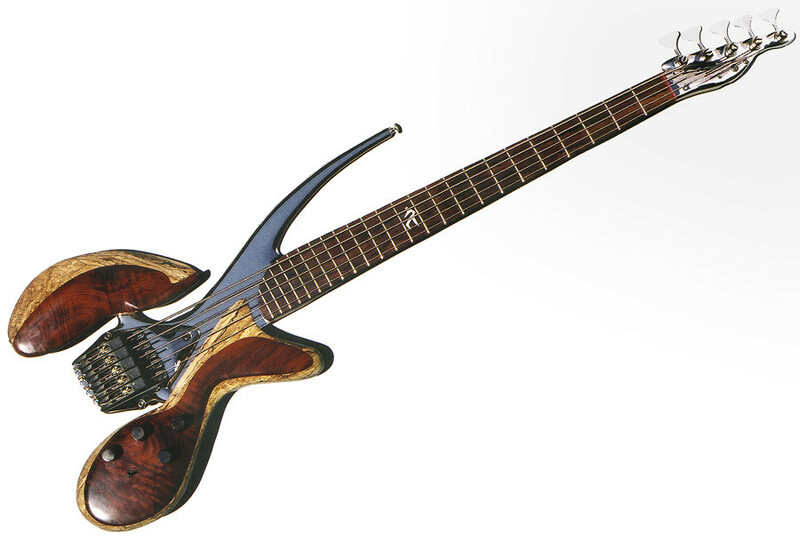 This Magma V601 combines a LightWave system with a 13-pin hexaphonic output. 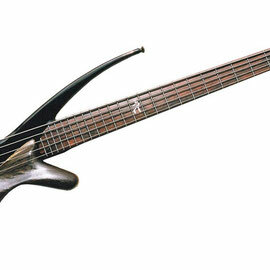 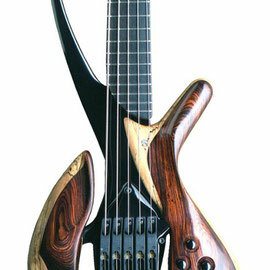 It was built as a demo bass for Roland Corp. for use with their V-Bass. 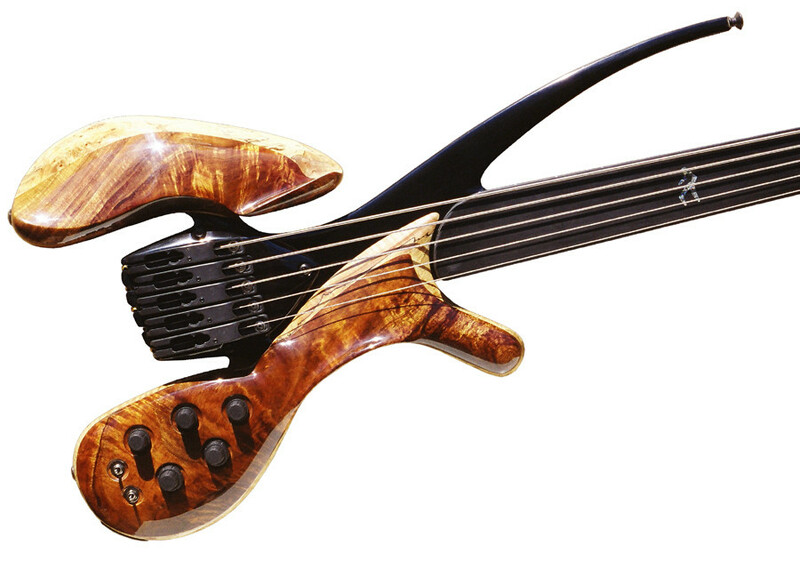 The LightWave pickups excel as tracking source and are about the best pickups I've found for approximating an upright sound on a fretless electric bass. 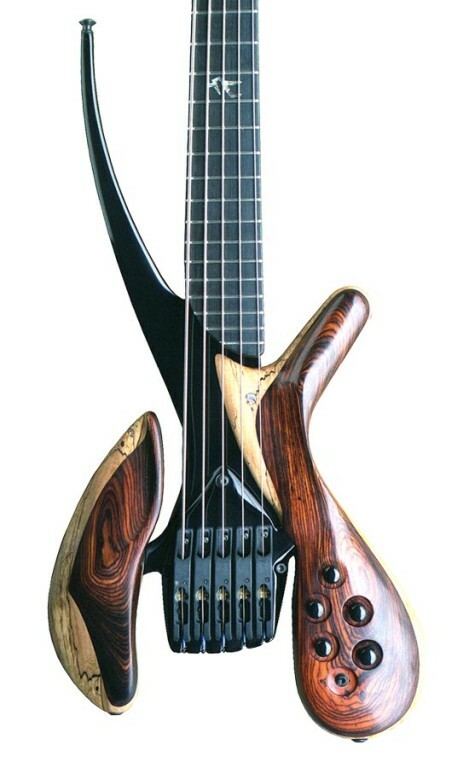 The neck is Wenge with a Maple centerstripe, the body parts a sandwich of figured Bubinga, Wenge and spalted Maple. 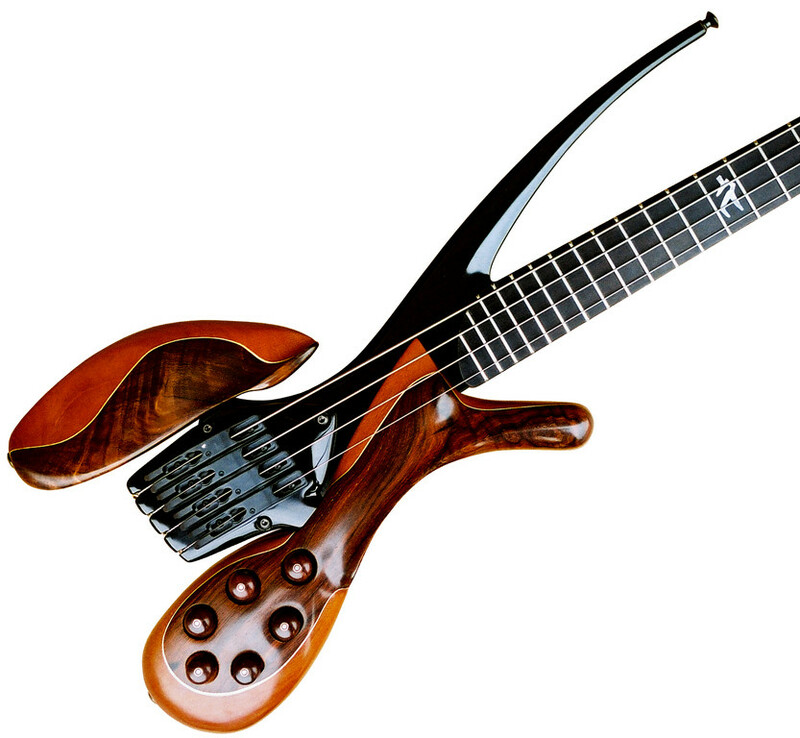 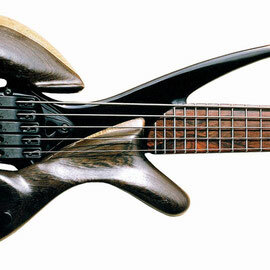 This was the first Magma bass. 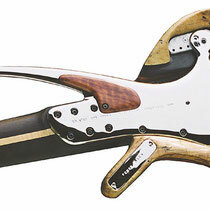 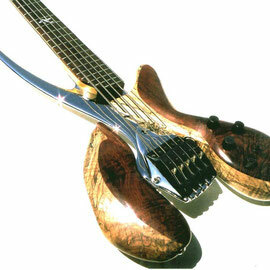 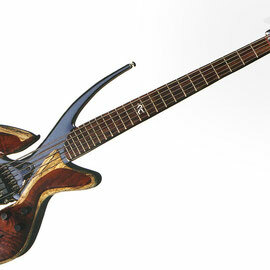 Cocobolo over spalted Maple body wings and chromed aluminum parts. 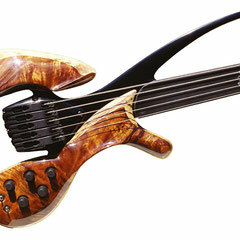 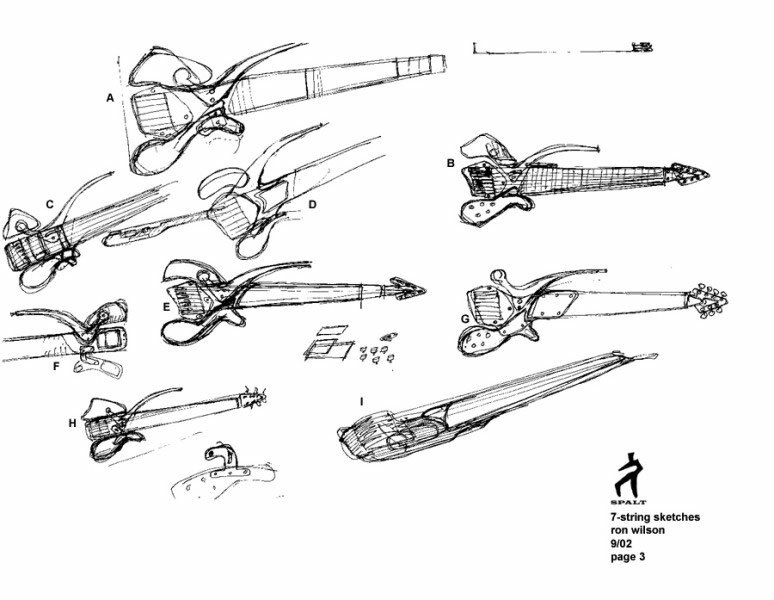 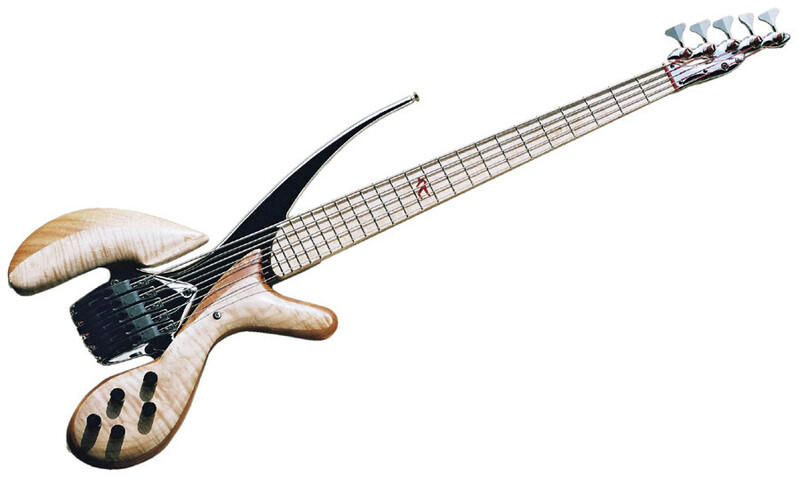 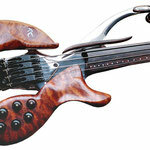 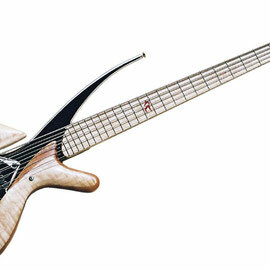 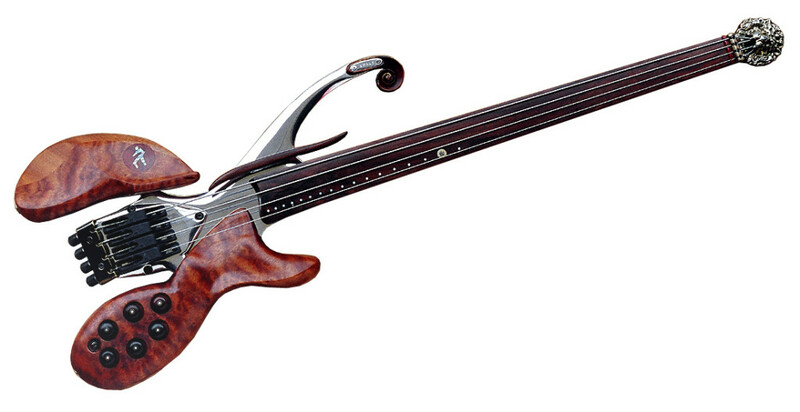 We presented it at the 2002 NAMM show in Anaheim. 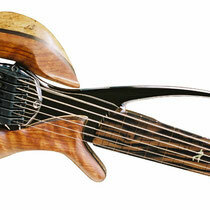 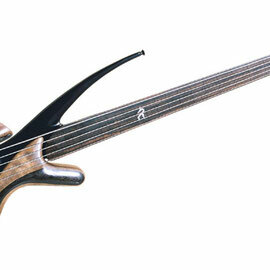 This 5-string fretless Magma employs a graphite neck custom made by Moses Graphite. 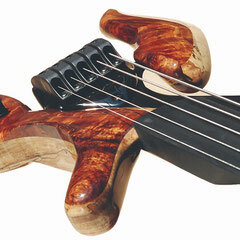 The body wings are flame Koa over spalted Maple with the aluminum parts anodized black.